Cape Town is in full-swing summer! December brings sun-filled, hot days, balmy evenings and late nights (summer sunset times to rival the more northerly cities of Europe) with an emphasis on the outdoors. This is not cosy up and watch film festivals’ season. This is get out and party season! You have only a couple of days to book for this returning event in Diep River. 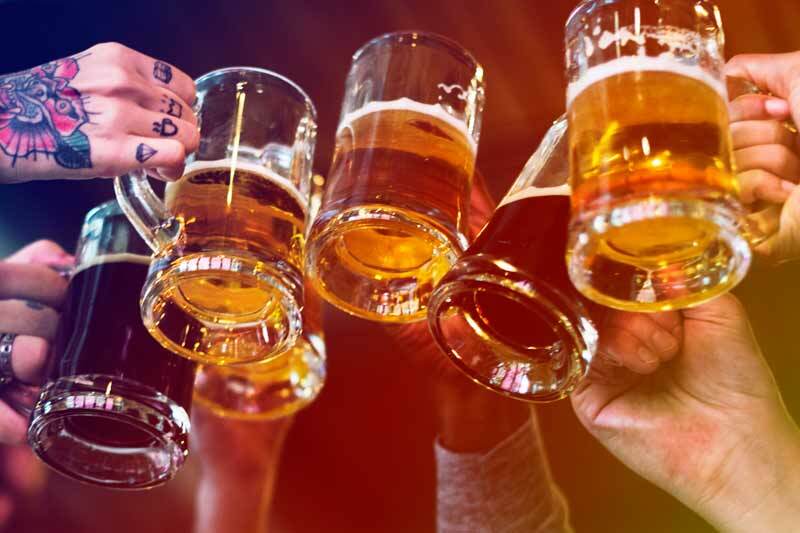 We Love Real Beer celebrates the pioneers of South Africa’s craft beer scene and includes Darling Brew, Birkenhead and And Union, to name but a few. Expect food trucks and live music with tickets either booked online, or at the door on the night (cheaper online and you get a branded WLRB glass). Zip Zap always deliver. Choose from Zip Zap Circus At The Waterfront – their free thrilling, whimsical show (arrive early for seats; show starts at 4pm at the V&A Amphitheatre) – or Boreal – A Stratospheric Circus Collaboration (15, 16 Dec – tickets available from Quicket) at the Zip Zap Dome on the Foreshore. It’s like the drive-in, only better. 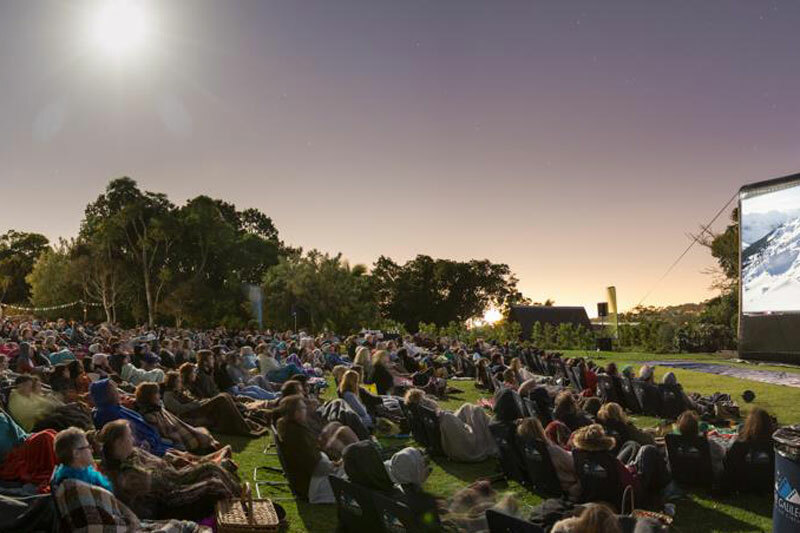 See a movie on the big screen, under a canopy of stars, whilst reclining in Galileo’s special chairs at some of the best possible open-air venues in Cape Town – wine estates, Kirstenbosch, the V&A and Kelvin Grove. Book online on the Galileo website. Experience sunset atop one of the world’s New7Wonders of Nature for half the price, after 6pm. You can buy tickets either online or from the ticket office at the lower cableway station all day. Be sure to enter your ID number and the ID numbers of those going up with you. Last cable car off the mountain is 21h30 between 16 Dec and 15 Jan (available only to SA ID holders and take note that the half-price offer excludes 18 Dec – 3 Jan). Including the Kirstenbosch Carols by Candlelight concert (14 – 17 Dec). 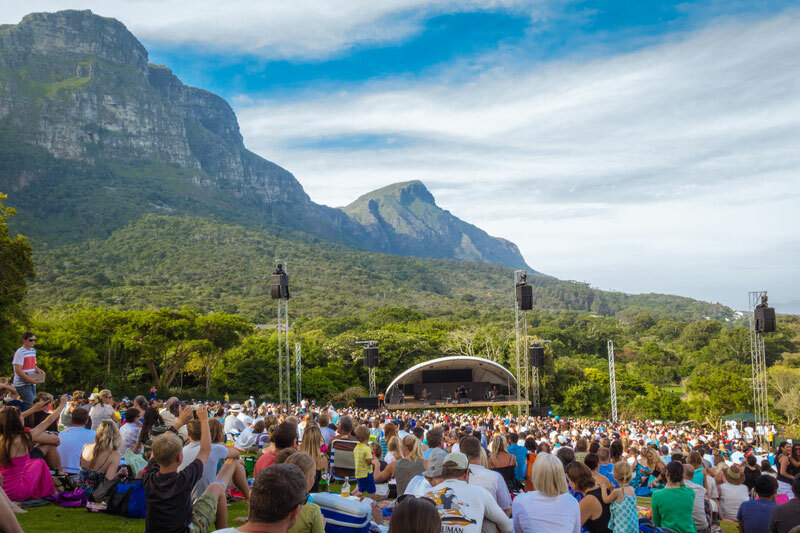 The Kirstenbosch summer outdoor concerts are a Cape Town staple. These open-air music gigs attract thousands of locals and visitors who spread out their picnic blankets on the sloped lawns in front of the amphitheatre. This year’s lineup is impressive and includes Goldfish & Hot Water, Freshly Ground, the Parlotones and the Cape Town Philharmonic. Please book tickets online only at Webtickets (no other tickets are legitimate). It’s being billed as a ‘high octane musical’, and who wouldn’t be happy after humming along to the Rice and Webber musical hits Don’t Cry For Me Argentina and Another Suitcase in Another Hall. Go see the production that follows the story of Eva Peron. Book online at Computicket. The views of the Stellenbosch mountains and vines is reason enough to an evening under the stars with live music, and your picnic. The Amphitheatre hosts a string of performances between December and March 2018. Bookings via Computicket. For details visit the Oude Libertas website. The little town of Darling, roughly an hour’s drive up the West Coast from Cape Town, is best known for its wild flowers, wine estates, and Evita’s se Perron – the theatre and home of South Africa’s best loved ‘Tannie Evita’ (whom, it is rumoured, has joined the race for SA president). 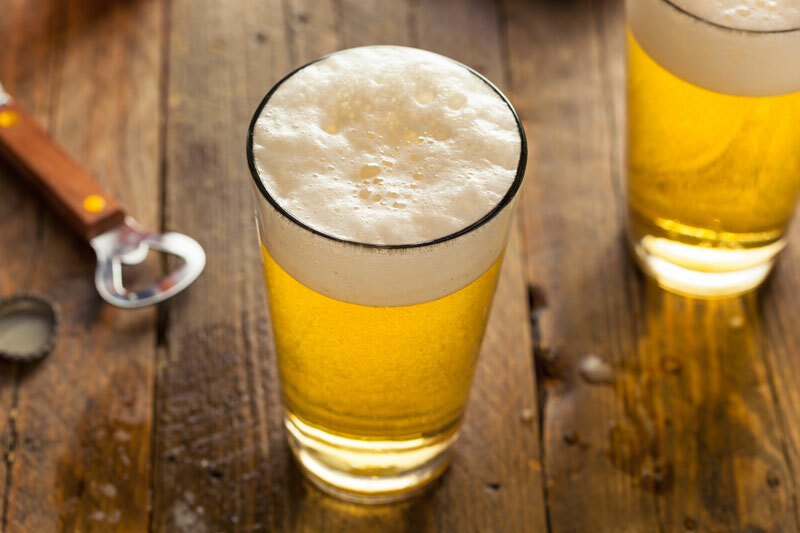 If you’re smart, you’ll roll several of these activities into one day’s outing when you attend Darling’s beer festival. Hosted by the Darling Brew’s Brewery you can expect other beers, ciders, live music and food stalls (there’s also tons of parking). Expect vegetarian treats and dishes, yoga, mediation, traditional music and henna body art at this east meets west festival that is now in its 11th year and as much a part of the fabric of Cape Town in December as Christmas. The ancient Hindu festival of chariots is celebrated in cities around the world and brought to Cape Town by the International Society for Krishna Consciousness. Best of all, it takes place along the Sea Point promenade, so you can join in the dancing and singing, drumming celebration of Vedic wisdom. The street procession starts at 10am. You’re in luck if you’ve left your gift shopping until late, as there are a couple of gift fairs that run for several days or weeks. One of these is the Simply South Gift & Craft Fair at the NG Church in Bergvliet, close to the roundabout on Ladies’ Mile Road. Over 200 stalls will, at the very least, inspire you, if not provide all of your Christmas stocking filler needs – jewellery beadwork, pottery, glassware, stationery and plenty of food. Bergvliet works well as a stop en route to the Constantia Wine Route or Hout Bay. No entrance fee and plenty of parking.